LIU manufactured out of steel sheet punched, formed, welded and Powder coated with highest quality standards under stringent ISO 9001-2008 Manufacturing & Quality management system to ensure highest quality product. 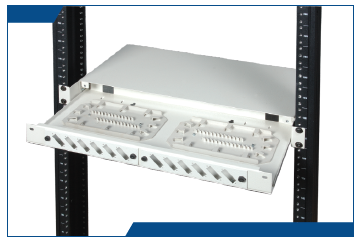 Standard model will be I U / 19" box with options of front coupler plates. Other Colour powder coating on request.